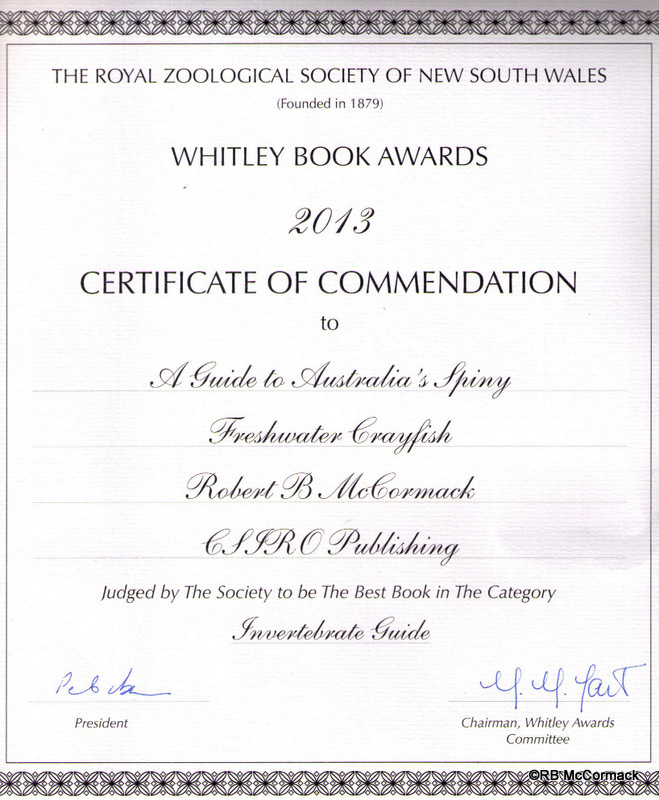 A Guide to Australia’s Spiny Freshwater Crayfish wins a coveted Whitley Award. The winners were announced by the Royal Zoological Society of NSW at a ceremony held in the foyer of the Australian Museum in Sydney on Friday 11th of October 2013. The Whitley Awards are for outstanding publications dealing with the promotion and conservation of Australasian fauna. We were successful in receiving an award for our latest book. 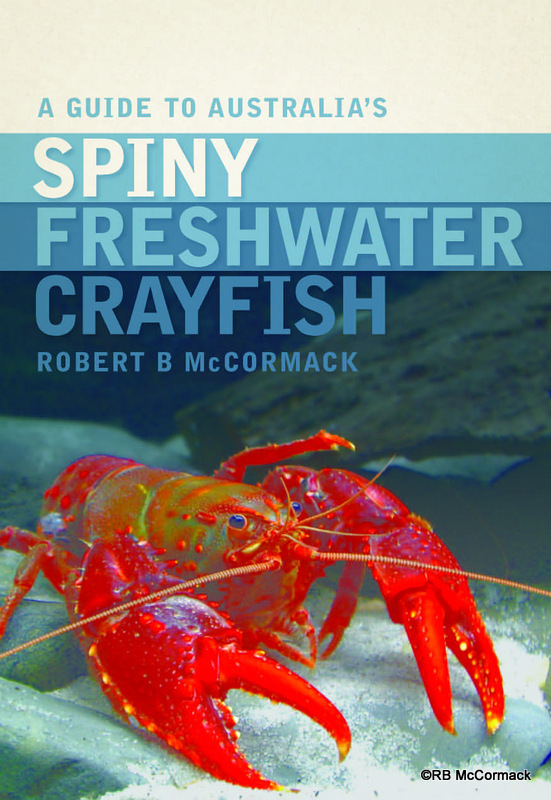 A Guide to Australia’s Spiny Freshwater Crayfish published by CSIRO Publishing was awarded a Certificate of Commendation for Best Book in its Category, Invertebrate Guide. This was a great honour and we thank all those that nominated the book and voted for it to win the award.